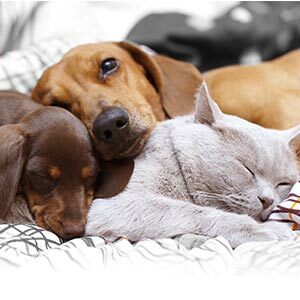 There are several groups of worms that can infect your pet – tapeworms, whipworms, roundworms, esophageal worms, thread worms, stomach worms and hookworms. There are also various types of parasitic protozoa (eg. toxoplasma, giardia, and coccidia). Symptoms and treatments vary. Conventional worming medications are starting to fail for various reasons – overuse, parasite resistance, etc. It makes sense for us animal owners to investigate the possible use of natural wormers for parasite control. Are there any that actually work? Bennett et al, in 20110, experimented with diatomaceous earth, fed internally to two breeds of hens. It was found to decrease the parasite count in the one breed but not the other more parasite resistant breed. The species of parasites that were decreased were: Capillaria (roundworm), Eimeria (coccidia), Heterakis (roundworm). Fernandez et al (1998) and Bernard et al (2009) found no anthelminthic (deworming) effect of diatomaceous earth in steers and goats. A group of scientists in India studied the effect of Cloves on earthworms (because of their similarity to roundworms). The cloves were found to be far more than 30 times more effective at killing the worms than Albendazole, a commonly used chemical wormer. Another similar study showed cloves to be 7 times more effective than Piperazine, another chemical wormer. Other species of parasites that cloves kill are: Caenorhabditis elegans and Rhabditis macrocerca and Ascaris suum (all roundworms). “Artemisia absinthium is well known to herbalists with particular application to treating nematode infestation, especially infestation with Enterobius (threadworm) or Ascaris (roundworm). Wormwood has been used as an anthelmintic since ancient times and is currently utilised in many countries throughout the world for this purpose. Wormwood tincture is employed in the West Indies as a worm preventative. Wormwood has also been used for the de-worming of horses, cows and sheep. Constituents of the aerial parts of wormwood include bitter substances (sesquiterpene lactones, mainly absinthin) and an essential oil containing mainly terpenes. The essential oil contains the potentially toxic monoterpene thujone and for this reason the recommended therapeutic doses of wormwood should not be exceeded. In vitro wormwood aqueous extract demonstrated anthelmintic activity towards the roundworm Trichostrongylus colubriformis. Thujone is also implicated in the anthelmintic activity of wormwood. Experiments carried out in Edinburgh in 1955 indicated the efficacy of thujone in eliminating Ascaris lumbricoides (roundworm). Wormwood aqueous extract and alcohol extract strongly inhibited the in vitro growth of the parasitic protozoa Naegleria fowleri. The sesquiterpene lact one fraction isolated from the alcohol extract was also active. Wormwood powder (1.5 g/day) provided effective treatment for acute intestinal amoebiasis in an uncontrolled trial of 20 patients. Symptoms were relieved and 70% of cases were cleared of the protozoa Entamoeba histolytica according to stool analysis. Plenty of evidence for this one too. Scientists in China (Li et al) found that treatment with pumpkin seeds caused tapeworms (Taenia) to be expelled. Then, Feitosa et al showed pumpkin seed powder to be effective in generally reducing egg counts in ostriches. There are plenty of studies demonstrating the effectiveness of pumpkin seeds against roundworms, tapeworms and others. It is my opinion that neither the conventional wormers, nor the alternative wormers are a complete solution. What I do with my animals is to alternate between the two. In this way not only am I getting more variety and hence less likelihood of resistance building up, but I am also minimising the side effects of chemical wormers by halving the quantity I use. Bennett, D. C., et al. “Effect of diatomaceous earth on parasite load, egg production, and egg quality of free-range organic laying hens.” Poultry science 90.7 (2011): 1416-1426. Fernandez, M. I., B. W. Woodward, and B. E. Stromberg. “Effect of diatomaceous earth as an anthelmintic treatment on internal parasites and feedlot performance of beef steers.” Animal Science 66.03 (1998): 635-641. Bernard, Gregory, Mulumebet Worku, and Mohamed Ahmedna. “The effects of diatomaceous earth on parasite-infected goats.” Bull. Georgian Natl. Acad. Sci 3 (2009): 129-135. Osweiler, Gary D., and Thomas L. Carson. “Evaluation of diatomaceous earth as an adjunct to sheep parasite control in organic farming.” (1997). Bone, Kerry. “Spring cleaning? What about intestinal parasites? (Phytotherapy Review & Commentary).” Townsend Letter for Doctors and Patients (2003): 46-51. Sujitha, K., et al. “Preliminary screening of Syzygium cumini and Achyranthes aspera for their anthelmintic activity.” Research Journal of Pharmacognosy and Phytochemistry 2.6 (2010): 445-449. Patil, R. N., et al. “Anthelmintic Activity of Ethanolic Bud Extract Of Syzygium Aromaticum Against Pheritima Posthuma.” Goldenesearch Thoughts, Vol3 Issuue7 Jan2014 2. British Herbal Medicine Association’s Scientific Committee. British Herbal Pharmacopoeia. BHMA, Bournemouth, 1983. Felter HW, Lloyd JU. King’s American Dispensatory. 18th Edn, 3rd revision, Volume 1. First published 1905, reprinted Eclectic Medical Publications, Portland, 1983. Quinlan MB, Quinlan RJ, Nolan JM. J Ethnopharmacol 2002; 80(1): 75-83. Waller PJ, Bernes G, Thamsborg SM et al. Acta Vet Scan 2001; 42: 31-44. Uncini Manganelli RE, Camangi F, Tomei PE. J Ethnopharmacol 2001; 78(2-3): 171-191. Bisset NG (ed). Herbal Drugs and Phytopharmaceuticals. Medpharm Scientific Publishers, Stuttgart, 1994, pp 45-48. Bara S, Zaragoza C, Valderrabano J. SEMh Congreso 1999: Sociedad Espanola de Malherbología, Longrono, Spain, November 23-25, 1999, pp 233-240. Nakamura N, Kiuchi F, Tsuda Y et al. Shoyakugaku Zasshi 1990; 44(3): 183-195. Albert-Puleo M. Econ Bot 1978; 32: 65-74. Mendiola J, Bosa M, Perez N et al. Trans R Soc Trop Med Hyg 1991; 85(1): 78-79. Tahir M, Siddiqui MM, Khan AB. Hamdard Med 1997; 40(3): 24-27. Lans, Cheryl, et al. “Ethnoveterinary medicines used to treat endoparasites and stomach problems in pigs and pets in British Columbia, Canada.” Veterinary parasitology 148.3 (2007): 325-340. POTEMKINA, VA. “Testing pumpkin seeds as an anthelmintic against intestinal cestodes and nematodes of cats and dogs.” Papers on helminthology presented to academician KI Skryabin on his 75th birthday. (1953): 558-563. Sollmann, Torald. “Anthelmintics: Their efficiency as tested on earthworms.” Journal of Pharmacology and Experimental Therapeutics 12.3 (1918): 129-170. Rybaltovskiĭ, O. V. “On the discovery of cucurbitin–a component of pumpkin seed with anthelmintic action.” Meditsinskaia parazitologiia i parazitarnye bolezni 35.4 (1966): 487. Li, Tiaoying, et al. “Usefulness of pumpkin seeds combined with areca nut extract in community-based treatment of human taeniasis in northwest Sichuan Province, China.” Acta tropica 124.2 (2012): 152-157. Strickland, V. J., G. L. Krebs, and W. Potts. “Pumpkin kernel and garlic as alternative treatments for the control of Haemonchus contortus in sheep.” Animal Production Science 49.2 (2009): 139-144. Feitosa, Thais Ferreira, et al. “Anthelmintic efficacy of pumpkin seed (Cucurbita pepo Linnaeus, 1753) on ostrich gastrointestinal nematodes in a semiarid region of Paraíba State, Brazil.” Tropical animal health and production 45.1 (2012): 123-127. Sengupta, Rupa, and Jayanta Banik. “COMPARATIVE STUDIES ON ANTHELMINTIC POTENTIAL OF CUCURBITA MAXIMA (PUMPKIN) SEEDS AND CARICA PAPAYA (PAPAYA) SEEDS.” International Journal of Research in Ayurveda & Pharmacy 4.4 (2013).